THE Birmingham mosque attacks are not being treated as acts of terrorism or far-right terrorism, police said. Five mosques were vandalised on March 21 and these attacks sparked fear among local communities as they occurred just days after the shootings at Christchurch in New Zealand. 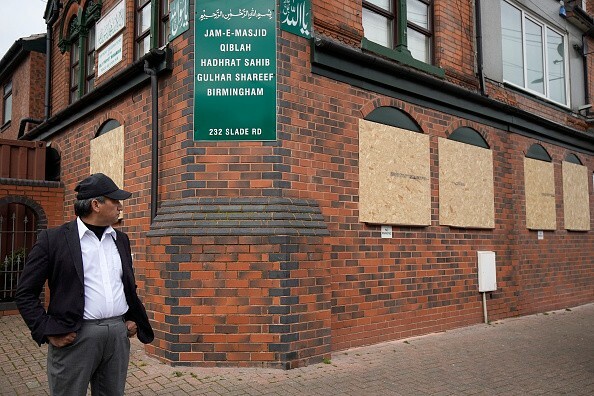 Vandals attacked the Witton Islamic Centre, the Faizul Islam Masjid and the Jamia Masjid Ghousia, in addition to mosques on Birchfield Road and Slade Road and Erdington. A sixth mosque, in Cromer Road, Balsall Heath, was vandalised on Saturday (23) morning, but police said they do not believe the incident was linked to other attacks on mosques. A 34-year-old man from Perry Barr handed himself to police on Friday (22) and he has been detained under the Mental Health Act. Police said no one else is being sought in relation to the attacks.